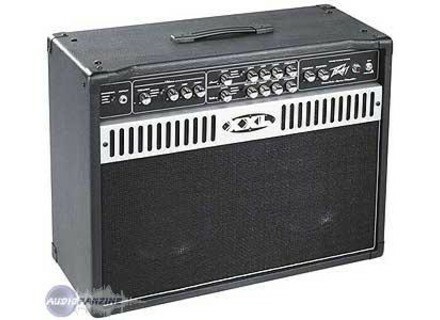 XXL 212 Combo, Solid-State Combo Guitar Amp from Peavey in the XXL series. 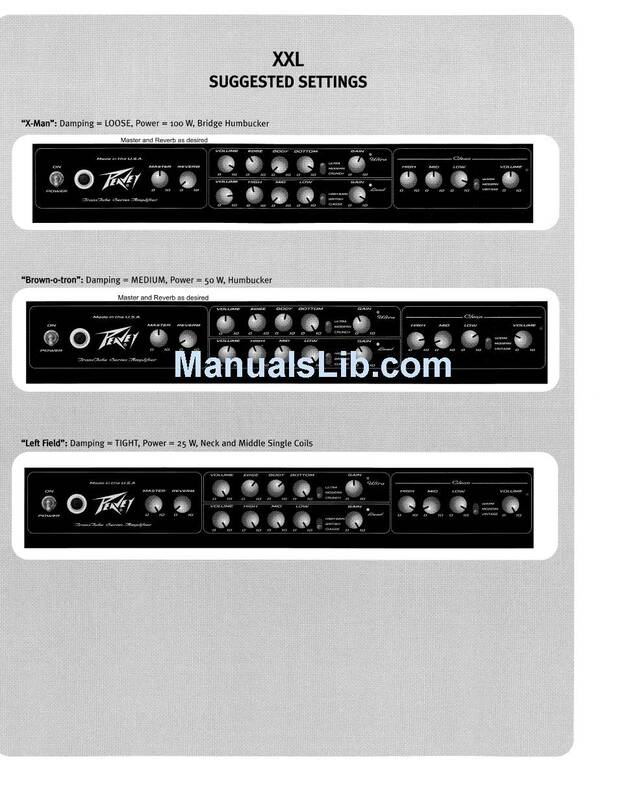 MGR/Aaron's review"Peavey XXL 212 Combo"
I got this amp at Sam Ash for about 650 after tax. I originally was going to different stores to check out what kind of amps they carry. I had at the time a Marshall AVT 50, but I like to play more hard rock and some heavy metal so I was looking for something else. I went to guitar center and was looking at the other Marshalls. I personally like the Dual Super Lead. But a little out of my budget. So when I was at Sam Ash this amp caught my eye. And i fell in love with it. So i picked it up and sold my AVT 50. 3 channels and then the 3 modes per channel. They honestly do sound very different from each other. Clean channel goes like this.. Warm - Really pushes the bass and makes it sound very warm. Well duh. On the lead channel we have..
British - Sounds pretty close to a marshall there. High Gain - Sounds like a pushed Marshall to me. High gain in my opinion is great for old 80s rock and metal. Crunch - This channel sounds all right. Can't really palm mute on it, its good to get a modern crunch. Modern - This channel is great distortion. Drop the mids, crank the bass, and add some treble, and its wonderful. Ultra - Ultra is just like modern but it sounds more trebly and palm muting is very nice sounding in this channel. The Wattage switch on the back is nice. I can turn it down to 25 watts for my room and it will sound nice. But if i need it very loud, i can always crank it to 100 watts. This amp at 100 watts is very loud. I had my ears ringing when i was playing it at 100 watts in my room. 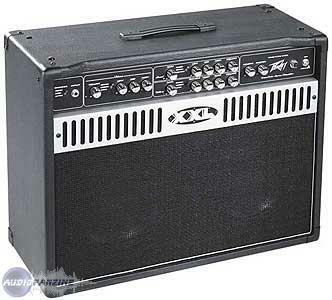 The look is good, the knobs are coated in chrome i beleive, very nice feel to them, adds to the overall look of the amp. Reverb sounds very good, i've heard real spring reverb before, and this does a good job of mimicking it. Mine came with what i beleive is a larger footswitch than the original ones came in. And my cable can be detached from the footswitch and the amp. So i think that is different than the original XXL's. The 12's in it sound great. Very loud and powerful. Lastly, it has parallel speaker outputs. And since only one of them is being used, I could plug in a second cabinet and really crank it up. Possibly a 4x12 with resitance of 4 Ohms (16ohms / 4 speakers). No prescense control. The dampening switch suposedly acts as a prescense control, but to me it doesn't feel like it. More like a volume cut than anything. It also makes it sound more nasaly, like its pushing the mids up a bit. So i play it with it set to Loose always. Gives more bass response and seems to just sound more alive. But the 9 different modes that you can use on it do make up for lack of prescense control. 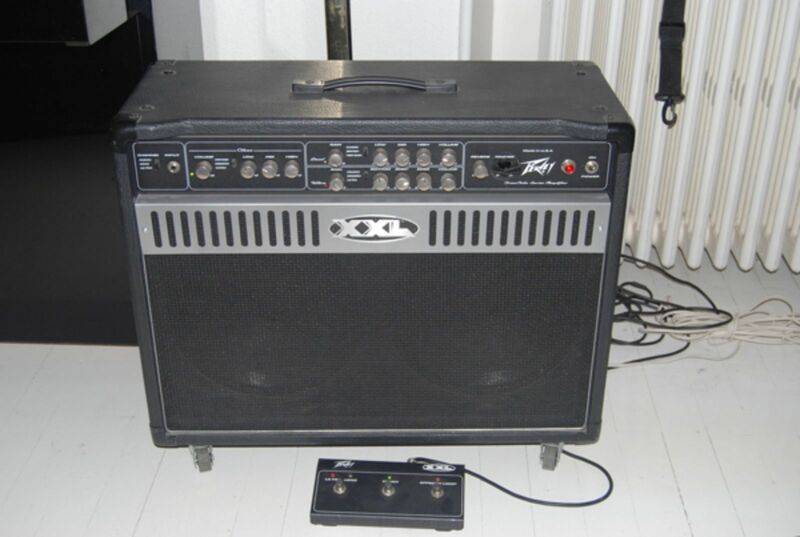 its a heavy amp. I put castors on mine to make my life easier when i have to move it around. It doesn't weight any more than 100 pounds, but its close enough. Great build. quality is great. The head rattles a little bit against the wood when you really crank the clean channels. Not to mention it rattles everything else in the room its so powerful. I'm sure when you stand back from it you won't hear it at all. The only times i've noticed it rattling is when i'm right on top of it testing the bass response of it. So i was probably looking for problems when I noticed it. So I wouldn't let that little problem scare anyone away from a purchase. It doesn't sound exactly like a Marshall. It doesn't sound exactly like a Boogie. But it does come pretty damn close. It can definitely rock hard. And for it being Solid state, it doesn't sound like cheap crappy emulation. At first when i was playing it i thought it at least had a pre-amp tube in it. Nope. It sounds great.